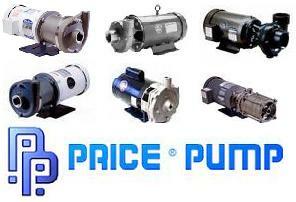 Price Pump Company is a premier manufacturer of centrifugal pumps with over 79 years of experience. They specialize in addressing the needs of specialty applications for industrial and OEM users. Their world-class engineering support, customer care and standard 2-year warranty, will provide you with a pump that exceeds your needs and expectations. Wide variety of sealing methods and materials including a sealless, magnetically driven option. Multi-stage units for high pressure applications. Shortest lead-times in the pump industry.